The famous clothing company Diesel is expanding to interiors now... Successful Living is the first collection of lamps designed by Diesel in partnership with Foscarini: a top level collaboration! 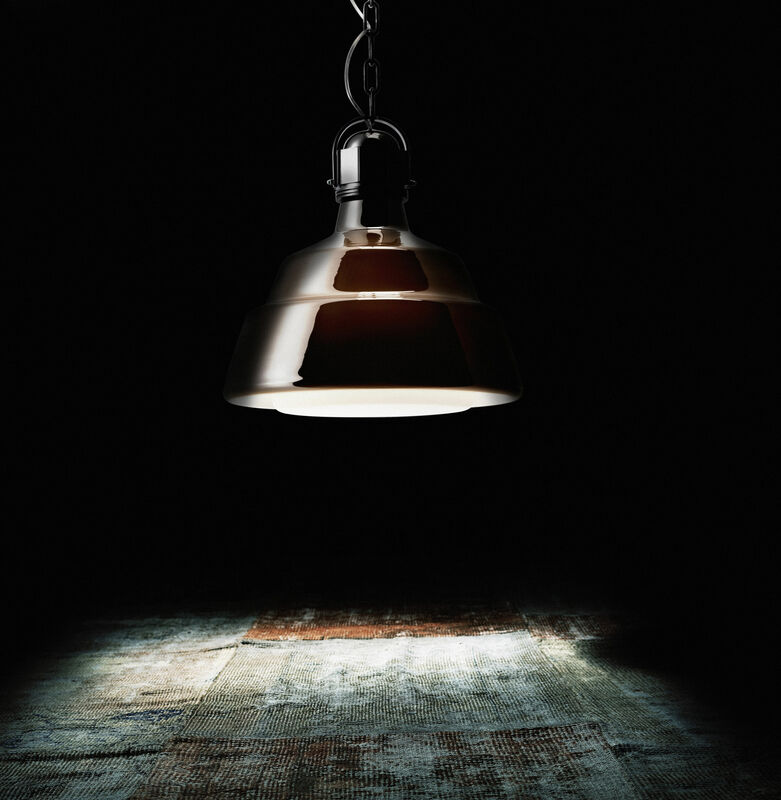 This collection is a combination of the great creativity of Diesel’s creative team and Foscarini’s quality of production. 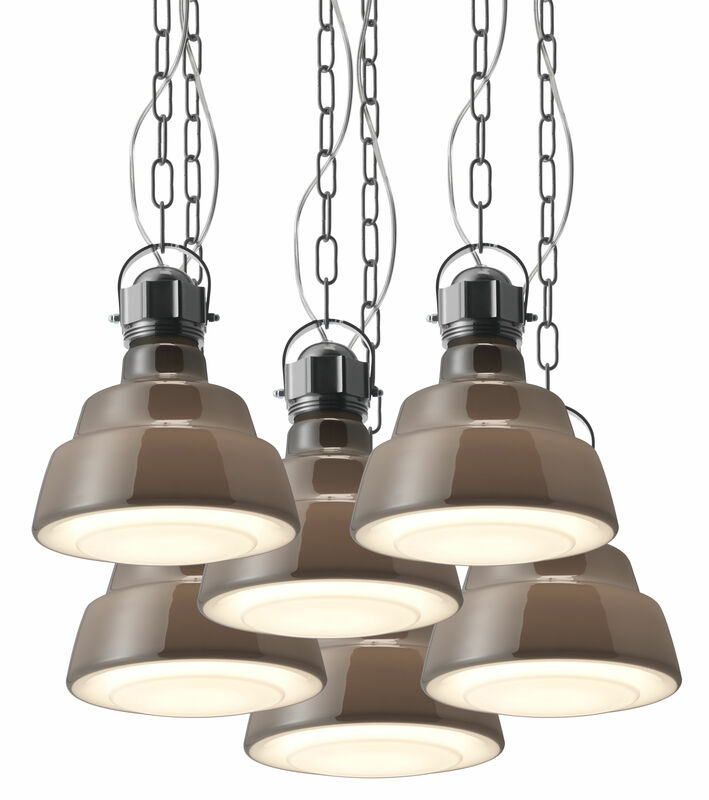 These lamps immerse us in a rock, industrial, vintage world where we can find their laid-back, nonconformist look! This collection of lighting plays with fashion trends and perfectly reflects the spirit of Diesel: an underground, ironic and creative style. 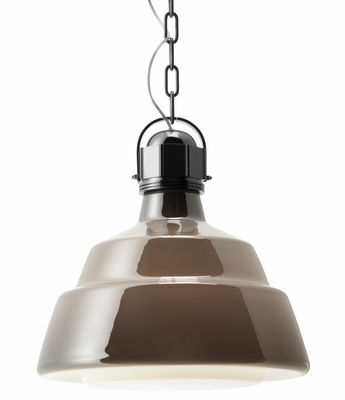 "Glas" reminds us of the lamps used in stores and factories worldwide: a 100% industrial and ultra trendy style! However, "Glas" is also a magic lamp that can change its look... When the light is switched off, the entirely chromed shade has a mat, metallic look. The mirror finish reflects the surroundings. 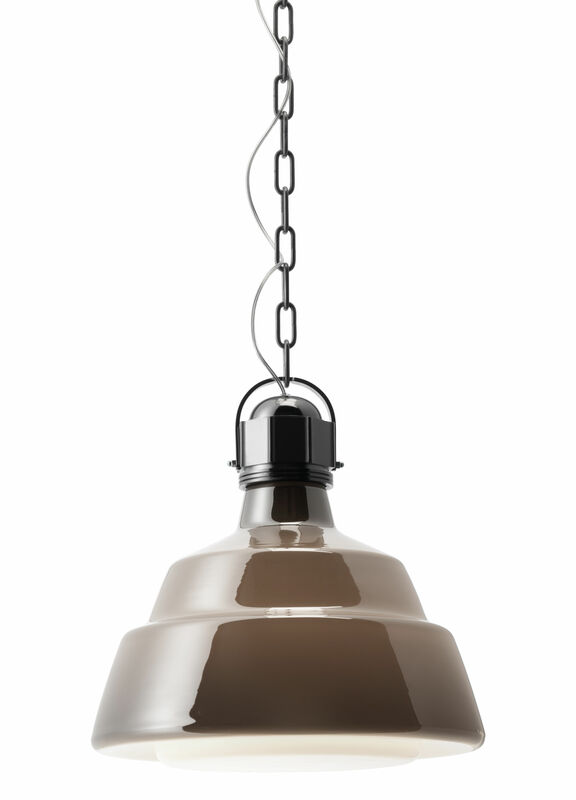 When switched on, the lampshade changes its look: the metal turns to translucent, satin glass in warm brown colour and vintage charm. Such spectacular effect is a fruit of a unique manufacturing process: stainless steel particles are injected in glass. "Glas" hangs on a metal chain, which also contributes to the industrial look. "Glas" pendant is available in Ø 22 cm or Ø 41 cm versions.